Philips Hue 2019 - What We Want to See & Our Wishlist! 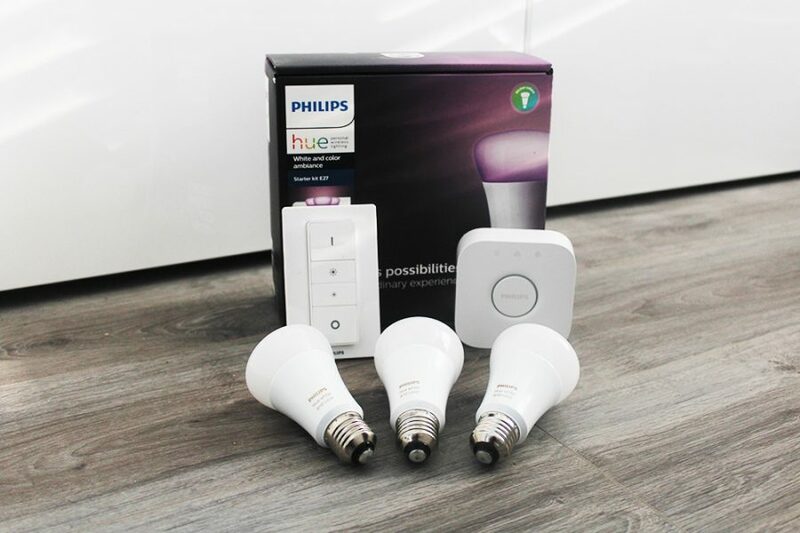 In the smart home lighting world the Philips Hue system still leads the way, however the competition is stiff and as 2018 head to a close, we look at what we hope and would like to see in 2019 from Hue, what we know, any rumours and what we would love to see. This year has seen the introduction of Hue Sync, a new updated Hue app as well as a range of new light fittings and of course the Hue outdoor range, so what next? What would we like to see from Hue? We love Hue, however there are some things that would make it even better, below we have rounded up what we would like to see and ideas we have to make it better. Brighter bulbs – One thing that stands out from the competition when comparing to the Hue bulbs is the overall brightness. Many on the market are brighter than the Hue bulbs, now although I don’t have an issue with the overall brightness of the Hue bulbs, brighter is sometimes better. 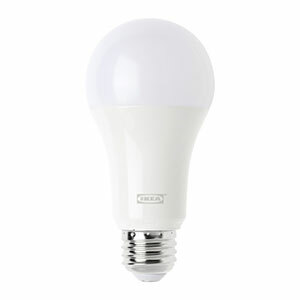 It would be great for the next 4th generation of Hue bulbs to be brighter and perhaps match the competition such as LIFX. This table below shows the max output from top smart bulbs on the market. Perfect Fit Color GU10 Bulbs – There are two GU10 bulbs, white only bulbs, or color bulbs. The white bulbs are a like for like size with a standard GU10 Bulb, however the color bulbs are slightly longer. The extra length makes it difficult to straight swap them as they tend to be too long for current spotlight fittings. The extra cost and inconvenience to change the spotlight housing for something that will take these bulbs is a hassle and is something that has prevented me from using these. 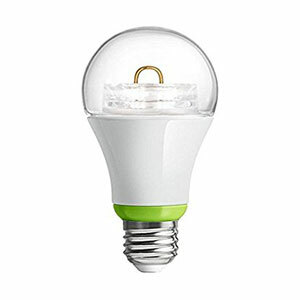 It would be great for everyone if these color GU10 bulbs where redesigned to the standard size, making them a straight swap. There is certainly a market for them and the biggest issue is that they don’t fit. Make them fit and I would buy them. The light strips are a great item and work well in the home with many uses, from lighting under cabinets, great for kitchen units, around desk spaces, or behind the TV which is very popular. As great as they are there are a few things that would make them better. 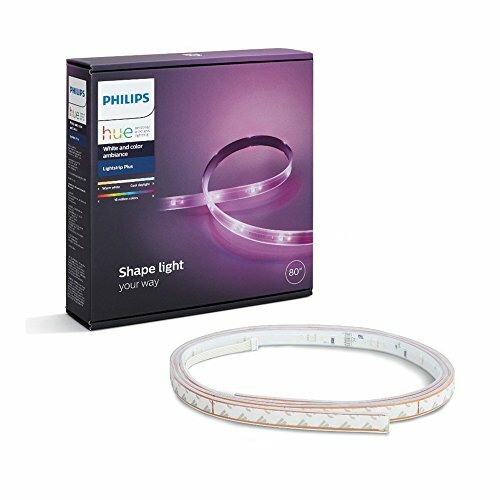 Color spaces – The hue light strips come in 2m lengths, they are also extendable with the 1m extension lengths allowing up to a total 10m length. This is great, but it would be even better if the lengths of stripes could be animated, at the moment they are all one color and that is all, however creating animations using the strips would be a welcome feature allowing colors to change along the strip instead of all one or nothing. Being able to split the strip into sections would allow for a 2m strip for example to display more that one color broken into zones. The actual light strip – One thing that could be improved is the actual light strip itself, it could be thinner, it could be more flexible, it could be more robust, it could have better self additive strips on the back for sticking in place. The overall robustness of the strip could be improved, although it is well made at the moment it could be made better by making it smaller while still being strong and flexible. 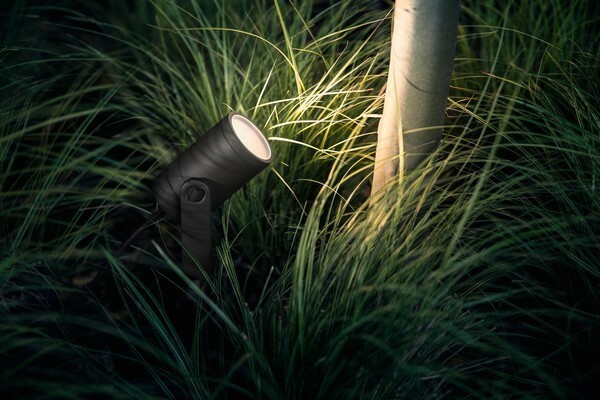 With the introduction of the new outdoor lightstrip it is certainly a better version of the indoor lightstrip with a waterproof design for outdoor use. The color diffusion is better, the color looks better and your cannot see the LEDs like you can on the indoor version. It would be great to see these improvements brought to the standard indoor lightstrip too. Something that makes the Hue system different to other systems on the market is the physical buttons that have too. The dimmer switch is a great little item that works well, the tap though could be given a redesign, using a coin battery would make it more responsive and perhaps making it the buttons more customisable would be better, you can make more changes using third party apps like iConnectHue. A wall mount for the buttons would also be great, or perhaps an option to mount over existing switches, a long shot for something like this to be related by Philips, however it would be great for some third party companies to manufacture something like this, some people have made there own by 3D printing a switch mount. Hue announced it has partnered up with other suppliers to offer new Hue compatible wall switches, hopefully these will be released early next year. The bridge is the brain of the Hue echo system, all the bulbs talk to the bridge and the bridge is what stores all the scenes, settings, button options etc. You can make these changes via the Hue app, or a third party app, but it is all stored and orchestrated through the bridge. One big issue with this is that if you need to reset your bridge, change it or it breaks, then all your settings, bulbs and options are all lost meaning you then need to recreate it all again. A must have feature is a way to back up your bridge, fingers crossed this feature comes this year! 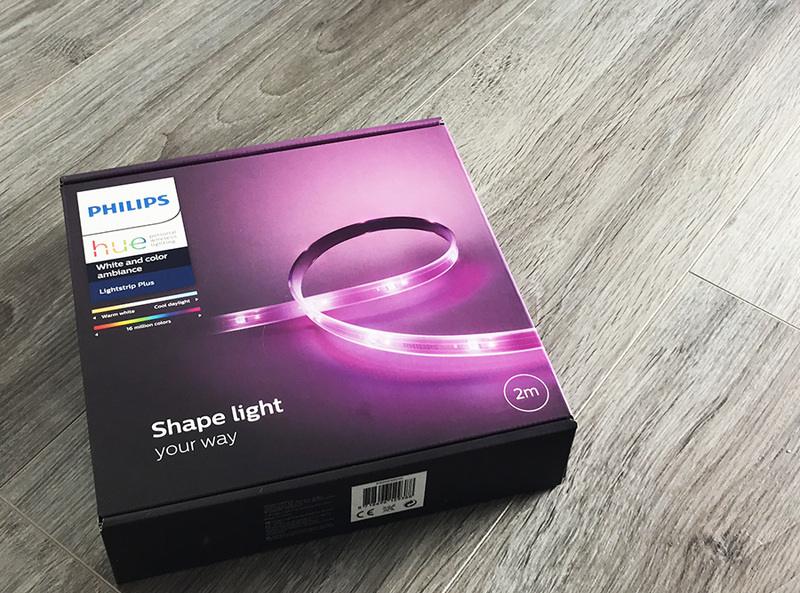 The big news this year is Hue Sync, something that we have been crying out for, Philips have released the functionality and their own software which you can install on your Mac or Windows PC syncing your Hue lights to the on screen action. A great feature and something that works really well. This video below shows Hue Sync in action on an iMac. However, the downside, the feature is there, however the implementation needs expanding, the feature we really want is the ability to sync your Hue lights with your gaming console such as PS4 or Xbox, while watching a movie on your TV via Netflix or Amazon Prime, at the moment none of this is easily possible unless you use awkward work arounds. So for 2019 we would love to see Hue Sync expanded so that it works with smart TV’s allowing for us with movie streaming software and gaming consoles. This could be through a smart TV app, or some hardware. Fingers crossed something is in the works and is coming soon. What would you like to see for Hue this year, or what ideas do you have to make it even better. The one thing that would make my Hue experience 100% complete would be the addition of a Smart Plug accessory. 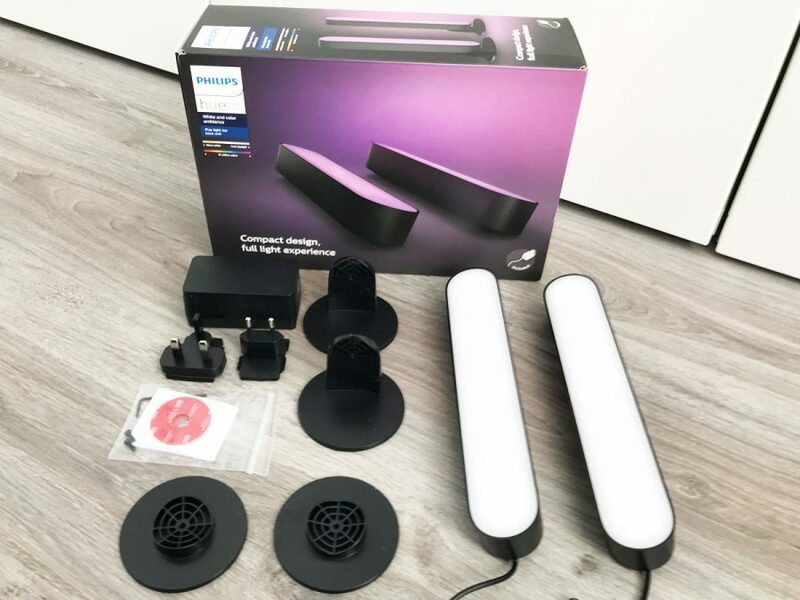 Hive are even doing this (Hive Active Plug) and I have had to revert to buying this from Hive as a solution for my problem as Hue don’t have one because they focus solely on bulbs and lighting. In short, I want to be able to control an outside floodlight, on or off, simple (could be any appliance with a 3 pin socket). There are many 3rd party wireless solutions out there BUT I want one that forms part of my lighting management and done need a separate badly designed app. 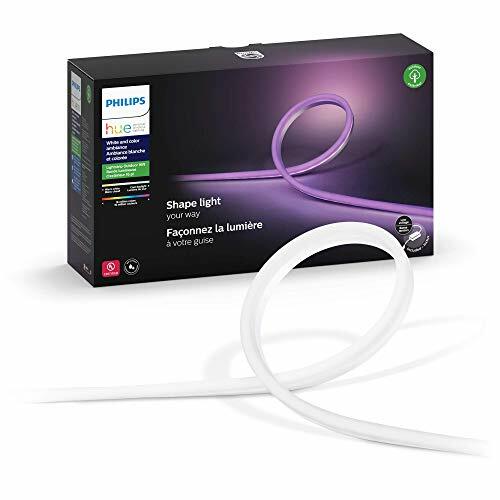 Could Philips Hue think about developing something like this that has the ability to switch on an appliance (light or otherwise) through the Hue app. ?? Its a Hue controlled 400va at 220v switch with 1-10v control, its will switch and dim a 1-10v driver or just switch on/off up to the rating of 10 drivers 400w. I’m sure a number of people have mentioned this, but I would love to have colored fairy lights (aka Christmas lights, light strings). We use all your other lights at our house, and my husband and I were bemoaning the fact that we can’t customize the lights on our tree and on our house in the same way we can do the lights in our house. i Think most people that start down the road of equipping their home with Hue gear will quickly be converted. The products are great, the quality is high so it is major let down that Philips doesn’t take it seriously. The number of units supported on a single hub is far from adequate. Using two hubs is possible but then the system goes from something my wife loves to something my wife hates. I really get the feeling that the development is divided between teams and they either don’t communicate or worse feel that this is a competition. Some examples: if I add my Philips Beyond lamps to my television ambilight then things work great until I turn the tv off. When I do that the lamps remain lit in a bright white mode. If you have many lamps, bulbs etc then you will quickly realize that searching for them don’t work. You need to look for the specific address typed on the bulb itself. Now it would be great if we could then see the same address in the app – but no. No way to see it or to retrieve it. So add the no way to back up your setup make this a prime example of a development team that should had their manager fired and their bonusses go away until they fixed this. There is no way that anyone could ever offer this solution as a viable lighting system that you could use for your business environment – and I find that sad. Philips please fix this. If not someone will for sure comes and take your nr1 spot away from you. If you take the entire potential growth there could be not only in lightning but in the entire smart home/IOT arena then you really need to step it up if you want to get that market segment. 1. Increase the hub limit to AT LEAST 100. 4. The ability to group multiple lights as one, so that they always output the same as each other, a grouping more narrow than “rooms”. Perhaps taking up less of the bulb limit in the hub, but also making configuring routines, scenes easier, and possibly making animations and looks from 3rd party apps more effective. When you have a fixture with 2 bulbs, sometimes it would be nice to just have them bonded to each other and always do the same thing, acting as one light. 5. Have the ability for the bulb to return to its last state when powered on. Currently they go back to a neutral light of somebody switches it off and on from the wall… which can be handy… but about 50% of the time it’s also frustrating. It would be nice to set each bulb to either reset to natural light, or to restore the last setting when powered back on. 6. Have more product in stock. 7. Larger par spots for bigger recessed lighting. 8. Make more use of the “entertainment area”, so when images for scenes, and even animation, are applied to rooms, it’s aware of where the lights are phiscally positioned, and mapped to that. All good suggestions. Hopefully point 5 is nearly here! I need mode/scenes/colors changing without switching bulbs on. I am looking for routine, that change color to red at 8PM in all rooms, but doesn´t wake up sleeping children by switching bulb on. And the same, change color to daily light at 7AM in all rooms but without waking people up in rooms where they sleep. The bridge needs a total makeover. As already mentioned, backups. But also have at least 200 bulbs and devices and sensors. Increase signal strength and range. Implement all features in the hue app. I would like to see a smaller bulb E14 size bulb. The candle small bulb is nice, but not suitable for all lamps. Also it shines to above and creates a shade at the lower part. It must be possible because a spot light is also small. I am also sometimes struggling when I combine a motion sensor with a switch. It should be possible to turn off the motion sensor for a defined period. The new option that the bulb goes back to it last setting after power interruption, but when I use “go to sleep” there is no way to turn the light on again. It should be possible to define a specific setting after power interruption. I lost my setup when the bridge broke, and our home was without many “important” lights for more than a few days. I couldn’t agree more on the need for a backup solution. Otherwise, the more you invest, the more the weakest link (i.e. the bridge) becomes a massive risk factor. But the bridge needs not only backup/restore, but tandem/failover mode if it wants to be seen as something reliable. I mean, during a firmware update to one bridge, the other takes over. Or if one one fails, same thing. And maybe a next-gen bridge could have a KNX interface too. These two features, combined, would make it a solid player in real building automation. I am so happy with my investment with Phillips hue lighting equipment. One simple improvement I’d like to mention is the wake up function under routines. I would like to wake up to my color or scene of choice. The white light is a little much most mornings. You can use iConnectHue to make better routines, however Hue could improve this function on their app that’s for sure. Hue/Zigbee have many benefits in a modern home: smooth dimming, silent operation, no need to pull wires, easy retrofit, etc. However, the Philips Hue Bridge is a disaster, not suitable for the task. It is a nice toy, but it becomes a dramatic point of failure if your house has to rely on it for any “serious” lights. Products that work and support that actually responds to issues! 1. Offer a “pro” version ot the hub with more capacity and features. 2. 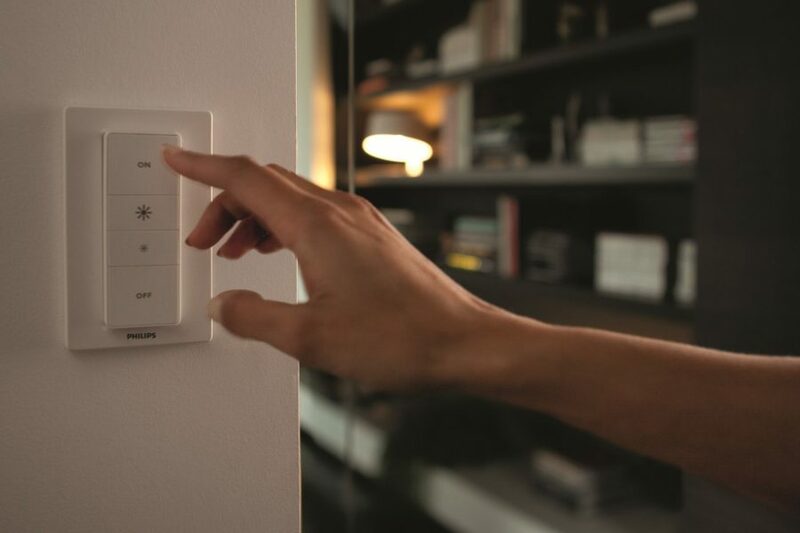 Provide a smart wall switch that works with everything so Hue sensors can turn on the bathroom lights where you a) don’t want to put a dozen Hue bulbs and b) don’t want the switch to get turned off. 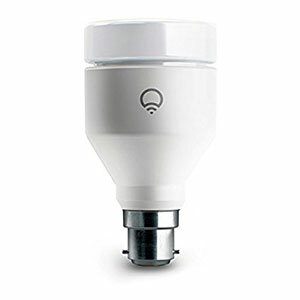 I would like Hue light bulbs that I can put in my porch light fixtures, so I can turn them on when I am away from home or on vacation. Seems crazy that these are not available yet. You can already do this, login to your Hue account and if you have the internet while away, you can turn your lights on and off. Or use a routine via the app to turn the lights on and off at a set time. 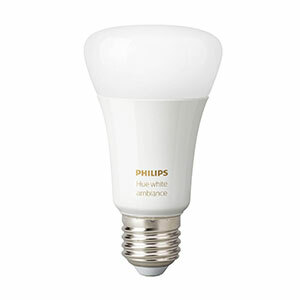 I would like to see GU10 white/colour ambiance bulbs in a “Perfect Fit” size. I use the white ambiance bulbs currently, but would actually have bought colour if they fitted properly (sticking out from the front of the fitting is ugly). That is a great shout, I have added this to the article as I would buy a standard sized color GU10. I’d love to see an easier to use Hue app where you could press and hold a light preset from one light to be copied and pasted to any other similar or compatible light across scenes. My comment is for the light strip. In addition to the points the author made, it would be great if they used a higher density light strip. (More LEDs closer together). This would help increase lumens and improve diffusion. As well, a longer strip would be nice for those doing cove lighting (say 30ft). Yes, the new outdoor light strip is a lot better in terms of light diffusion than the indoor one, would be great if this was updated. Increase the remote control limit to 20, 30, 40 lightbulbs.